Let me start by saying that I am a big fan of Katy Perry. A big, big fan. So when she announced the Prismatic World Tour of course I was going to buy tickets to as many shows as I could, which turned out to be two because it sold out so fast. Sam and I had VIP tickets for the Adelaide show on the 11th of November, and then we travelled to Melbourne for the 18th of November. I forgot my SD card when I went to the Adelaide show (good one) but I took a lot of photos in Melbourne, so this is going to be quite a picture heavy post - follow the cut for more KP goodness! The production value of the show is absolutely incredible. It was two hours long and there wasn't an unentertaining moment in that whole time. The costumes and sets were spectacular and the dancers were amazing and honestly I could just gush for hours, which I will try not to do haha. Unfortunately my cameras battery started to die about halfway through the show so I had to be quite sparing with my photo taking in the second half (who doesn't charge their camera before the experience of a lifetime? this idiot apparently). But seriously just look how amazing it all is! Even though travelling took a pretty huge toll on my body, it was absolutely worth the time, effort and cost. 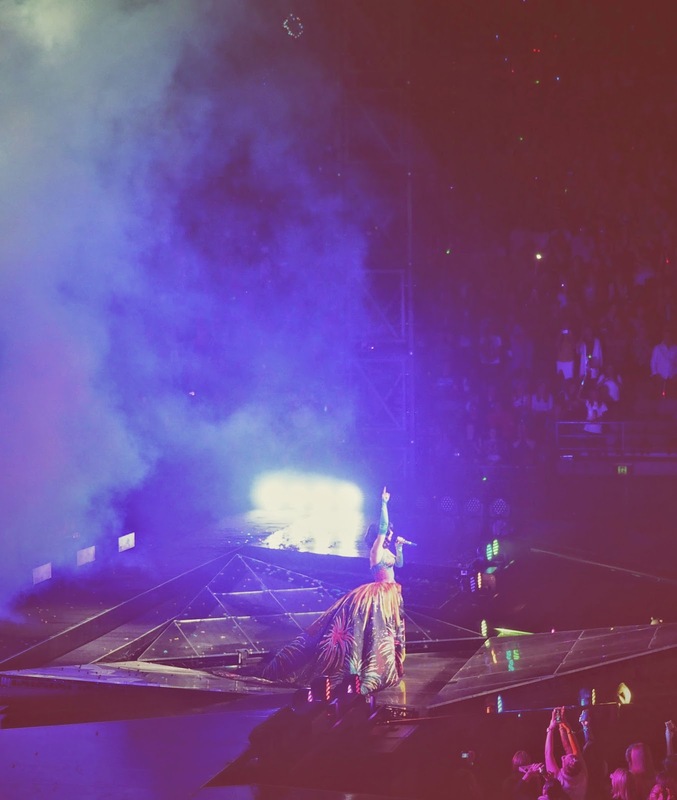 I left each show feeling so uplifted and happy, and Katy Perry is honestly one of the greatest inspirations in my life. I spent most of the Adelaide concert crying and freaking out like a big dork because I couldn't believe that she was real and in front of me and I was seeing her in person, but I was able to get up and dance and really take everything in in Melbourne. 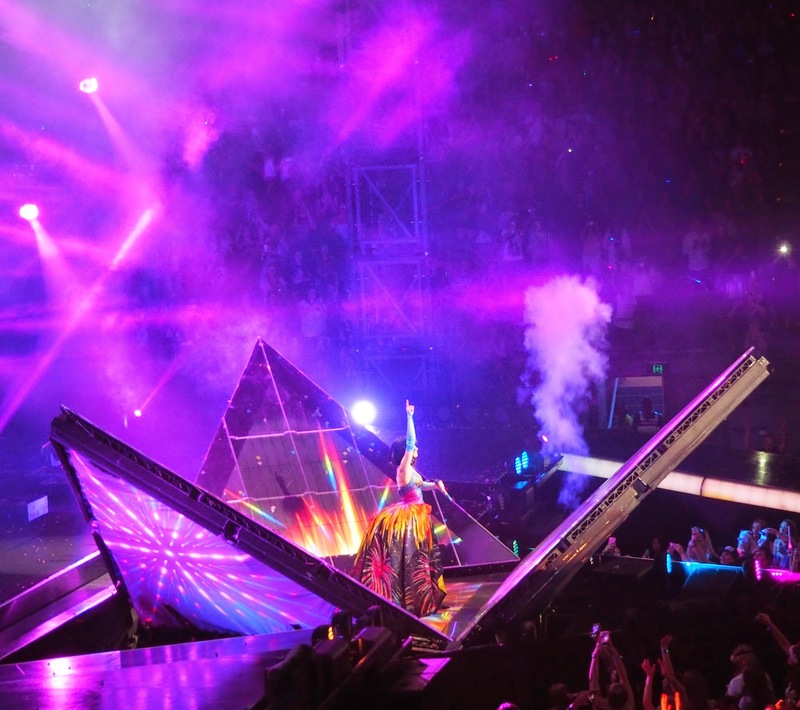 If you have the opportunity to go to a Prismatic show, I highly recommend it, even if you're not a Katy Perry fan (and if you're not, why are you even on my blog!?). It's a wonderful experience unlike anything else I've ever seen, and I wish I could do it all over again.